Sharing a passion for Sunflowers is our mission! We love what we do and grow every Sunflower with the purpose of bringing smiles and cheer, sharing the HAPPY, with everyone! Our goal is joy! Yes, we sell flowers, but our real mission is that smile—like no other—when someone’s face lights up after receiving a beautiful bouquet. Our Different by Design™ brand offers unique styles that are great at doing just that. We are here to celebrate, console, apologize and say "thank you." Send some Sunflowers today! We are always on the lookout for the latest things in the floral design and “greens” world. 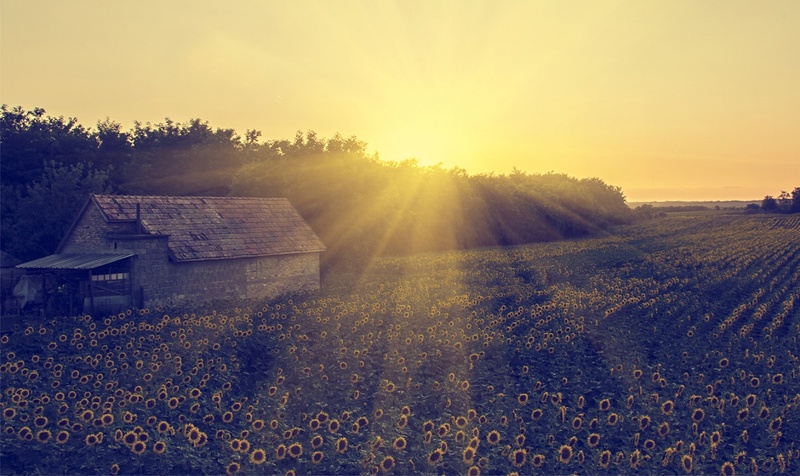 As luck would have it, we are located in one of the best growing areas of the nation; allowing us to ship Sunflowers anywhere in the United States! We can and do grow our Sunflowers 365 days a year, so look for them online or in a store near you! 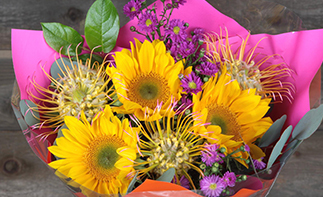 Dos Gringos' flower fields produce the freshest, longest lasting bouquets and bunches you'll find on the market. 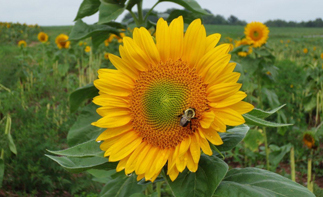 A patriotic bloom: the Sunflower is one of only four major crops of global importance native to the United Sates (the blueberry, the cranberry and the pecan are the other three). The Helianthus Annuus family is vast, with approximately 67 varieties of Sunflowers, it is one of the most developed flower groups! Today we are housed in our state-of-the art headquarters in Vista, Ca., where we make a great natural product even better through recent advances in refrigeration, improved quality control, premium packaging and fast transportation. 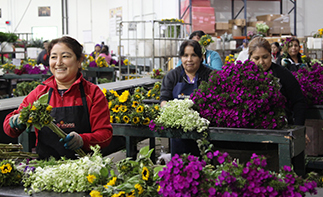 During the two week period prior to this Mother’s Day (2016) we shipped over 2.4 million stems of Sunflowers. That’s a lot of happy moms! 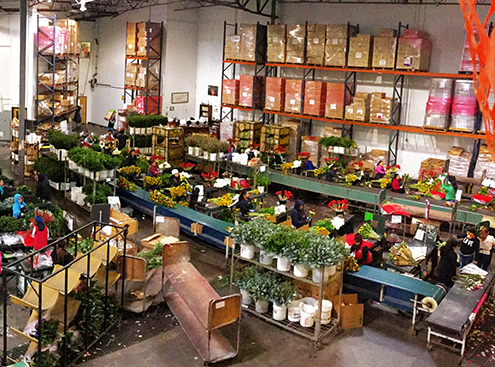 Our fresh-cut flowers and foliage are hand-selected at their optimum growth stage and inspected for shape, color and condition, prior to shipping. Each selection is cooled overnight to 38°F before custom packing. All boxes are immediately pre-cooled in preparation for shipping. a flower company that is Different by Design®. to the store—every day—for you! We’re out there everyday, bringing the sunshine! Get inspired or spread the love. A true love of our craft and a desire to create an outstanding heirloom American treasure has garnered us consistent success and continued growth in the industry, far beyond what we'd ever dared imagine. Never the less, every year and every season brings new challenges and adventures! Hard work and tenacity has come to fruition! We’re proud to show off some impressive company growth stats that we can all be celebrate!